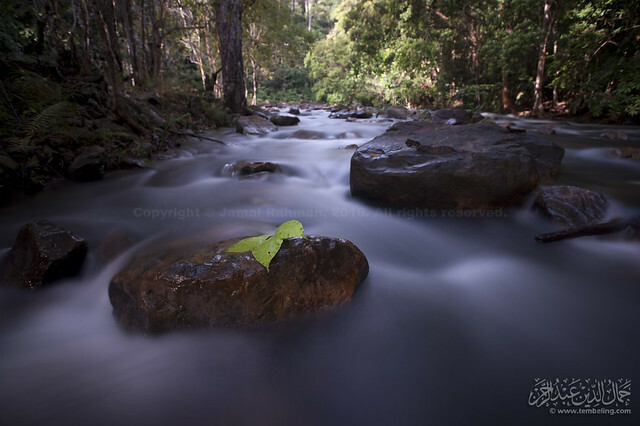 Recently we held a photo outing at Taman Negara Endau-Rompin (Selai entrance) in Johor. 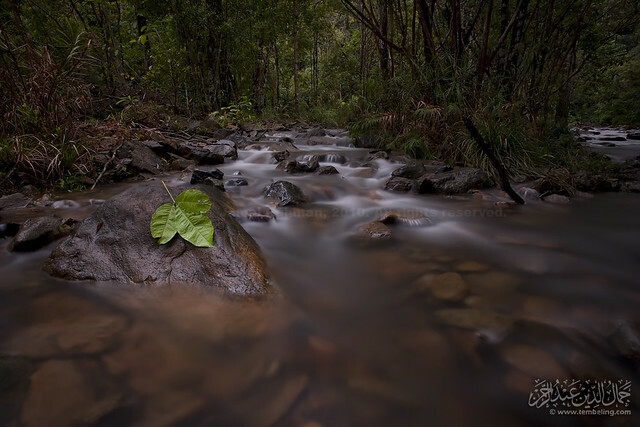 This is a special outing where series of basic photography talks followed by practical sessions were conducted especially to guide friends who were new to photography. This is a no-profit effort where everyone share the cost, including the instructors and fasilitators. I never been to Selai. This place was proposed by the Director of Johor National Park Corporation (Perbadanan Taman Negara Johor). The accommodation was sponsored by Taman Negara Johor & souvenirs by Nikon Malaysia. A total of 53 people involved in this project. Many came from Pahang and Kuala Lumpur. There were also participant from Kedah, Johor Bharu, Perak & Kelantan. We gathered a Taman Negara office in Bekok (the small town before Selai). A total of 11 4WDs (excluding 4WDs from Taman Negara) were needed to transport all of us. The journey from Bekok to Lubuk Tapah, the name of place where the chalets was located, took 1 hour through palm estates, Orang Asli settlements and jungle. Arriving at Lubuk Tapah. dR Ali is giving a quick briefing. How the chalet/hut look like. I would say, it is comfortable for two persons. Not three. No attached toilet. Upon arrival, we were treated with steamed tapioca (ubi rebus) & anchovy condiment. Heaven!! Mr Fakhrul (Taman Negara official) giving the welcome speech & safety briefing. The first official event was a basic photography talk by dR Ali & basic macro photography by Emran Tamil. The very next day we were tested with downpour. But many were undeterred by that challenge. They went on shooting bugs, flowers & rapids. Kudos to you guys! On the second night I gave a talk about landscape photography. And few of us spent the night trying to shoot star-trail. I realized how difficult to find a correct exposure and it was time consuming. On the last day, majority went hiking to Takah Pandan. I didn’t go. Thanks to the late sleep for the star trail…..so instead, I shot the landscape nearby. After lunch, we had a simple closing ceremony and a group photo. We hope everyone enjoyed the photocamp. We need not to pay hefty amount of money to learn photography & to have more friends. See you guys in the next NPC. dR Ali recently interviewed by local radio station (in Malay)…. The interview was captured using iPhone 4 Voice Memo, synced to my iMac & using iTune to convert the M4A format to MP3. To do this, just change the import setting under Preference>General from AAC to MP3. Java is my favorite photography place. I have been to Jogja few times. The first trip was Feb 2008 where I ‘accidentally’ went up Mount Merapi. Spent extra few days exploring Borobudur & Prambanan. Then in August the same year we went up Mount Lawu & Mount Bromo. In Feb 2009 we went to Dieng Plateau. In October last few months we went to Danau Toba in North Sumatera. Day 2 – Tue~ The most hectic day! The photography day! 0300 Travel to Cemoro Lawang (entrance of Tengger-Bromo-Semeru National Park) – Please pack something for breakfast as I do not know where or when we can have one. 1400 Travel back to hotel & lunch along the way. 1500 Free & easy – Stay another night here. The place is cold. Plenty of human interest opportunity I guess. 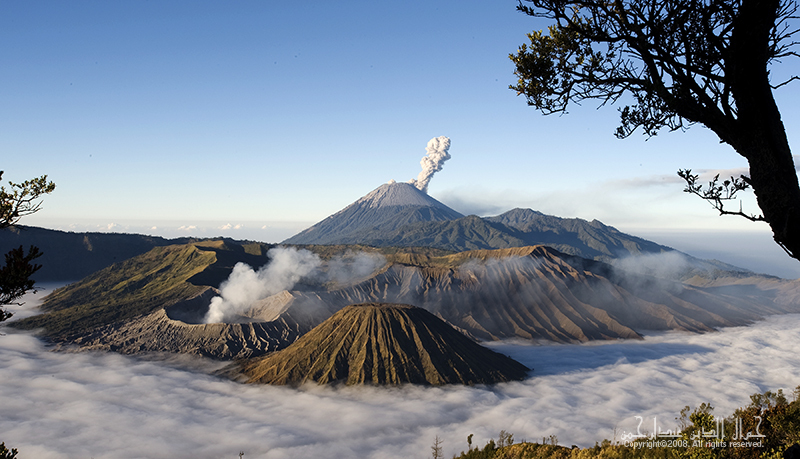 Those who wish to arrange private trip to Bromo again with motocycle or the like, please do so during this time. Expense on your own but please go in a group. Try & catch sunset at Bromo if you want. 0800 – Travel Ngadisari – Madakaripura Waterfall (At Lumbang). Can mandi-manda here. 1200 – Travel Probolinggo (lunch here) – Bondowoso – Jampit. 0400 – Check-out from hotel/guesthouse. Please pack some food. Travel to Paltuding (the post to Ijen, fee about IDR20,000 each – please have a face mask ready). We try to catch sunrise at Kawah Ijen, a 1 1/2 hours hike (3KM) from Post Paltuding. 1400 – Continue the journey to Banyuwangi – Check in into a hotel here. 1300 – Continue to Surabaya (a long bus ride! ~ 5 hours). We will see what is good to shoot along the way.